[London anarchist bookfair 2012] / Seth Tobocman. 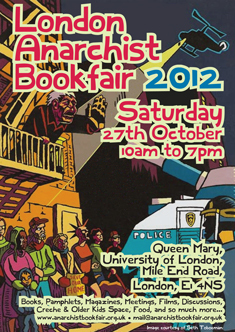 — London Londres : Anarchist Bookfair (London), 2012 . — 1 affiche (impr. photoméc. ), coul. (quadri) ; 60 × 43 cm.